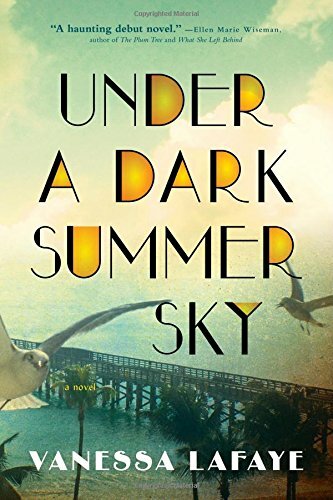 Under a Dark Summer Sky is a stunning debut novel, at once a love story set in a time of great turmoil and a vivid depiction of a major natural disaster. Florida, 1935. In Heron Key, relationships are as tangled as the swamp's mangrove roots. It's been eighteen long years since Henry went away to war. Still, Missy has waited, cleaning the Kincaids' house and counting the stars. Now he's back, but she barely recognizes the desperate, destitute veteran he's become Ã¢ÂÂ unsure of his future, ashamed of his past. When a white woman is found beaten nearly to death after the Fourth of July barbecue, suspicion falls on him immediately. As tensions rise in the small community, the barometer starts to plummet Ã¢ÂÂ a massive hurricane is on its way. Based on real historical events,Under a Dark Summer Sky evokes what happens when people, sweating under the weight of their pasts, are tested to the absolute limits of their endurance. About: Under a Dark Summer Sky is a stunning debut novel, at once a love story set in a time of great turmoil and a vivid depiction of a major natural disaster. With Penny Ives, Rumer Godden | from Philomel Books (January 1, 1998); titled "The Fairy Doll"
With Anton Pavlovich Chekhov | Reissue edition from Bantam Classic & Loveswept (July 1, 1988); titled "A Doctor's Visit: Short Stories"